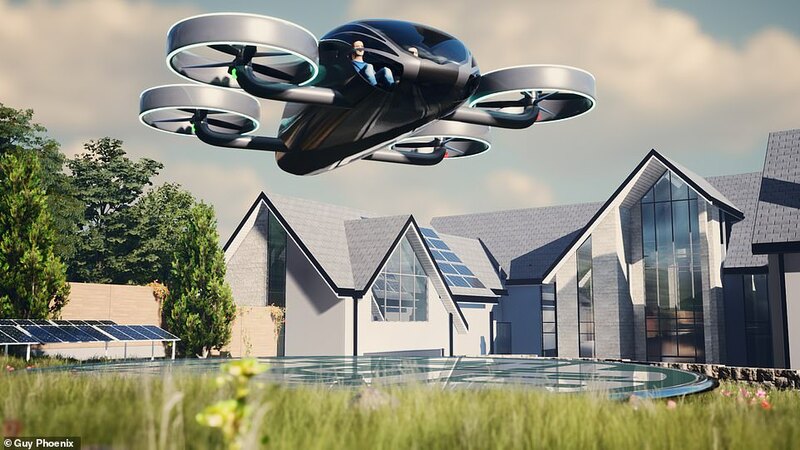 The world’s first dedicated residential landing pad for flying cars is being constructed at a new build mansion. The pad, complete with a renewable energy source to recharge the electric aircraft, is being laid out in the garden of a £10 million home south of Nottingham. It is being built by Guy Phoenix, a property developer, in partnership with VRCO, a Derby-based company working on a flying car design. VRCO, which has had EU development funding, plans to have a prototype of its NeoXcraft two-seat vehicle in the air next year. Orders are already being placed and the company hopes to be selling the cars by 2020 for £1.5 million. Pilots will need to be trained and certified. The landing pad, which is six metres in diameter, is in the garden of a two-acre site in the village of Edwalton, with construction due to be finished by April. The pad uses stored solar and wind energy to recharge the aircraft and is said to feature an “etched data store code”, which is scanned from the air to allow it to land autonomously. Although there are strict planning conditions for helicopter landing pads, it is hoped that the near-silent electric vehicle will be accommodated easily when the necessary aviation safety certificates are in place. Mr Phoenix said it represented a “unique selling point” for the home. He is talking to VRCO about buying one of its flying cars and offering it as part of the house sale. 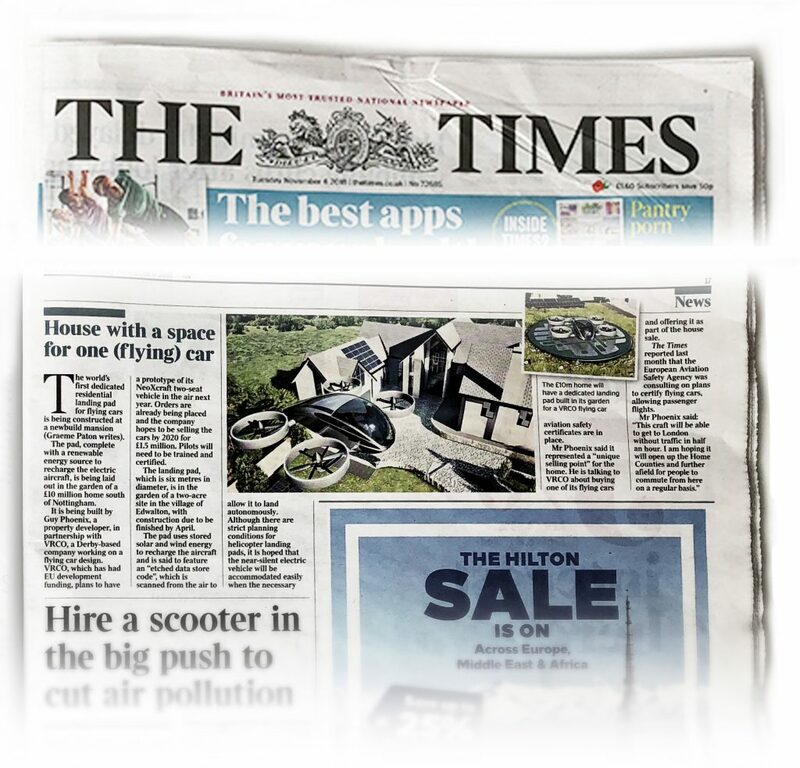 The Times reported last month that the European Aviation Safety Agency was consulting on plans to certify flying cars, allowing passenger flights.